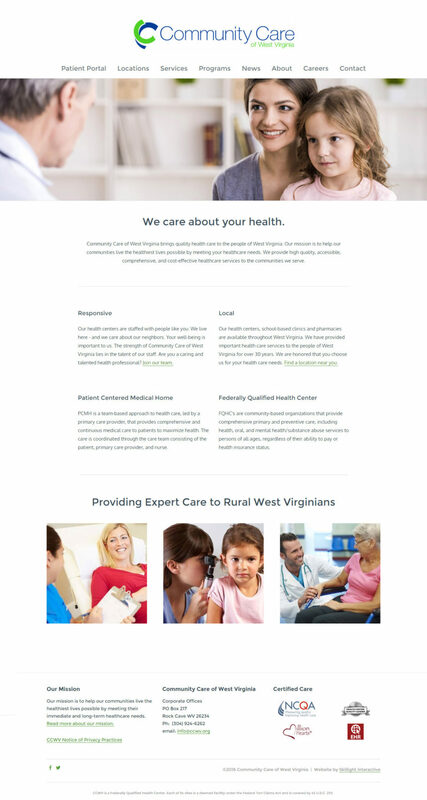 Redesigned the website of Community Care of West Virginia (CCWV) to reflect new branding and exude a feeling of trust and professionalism. 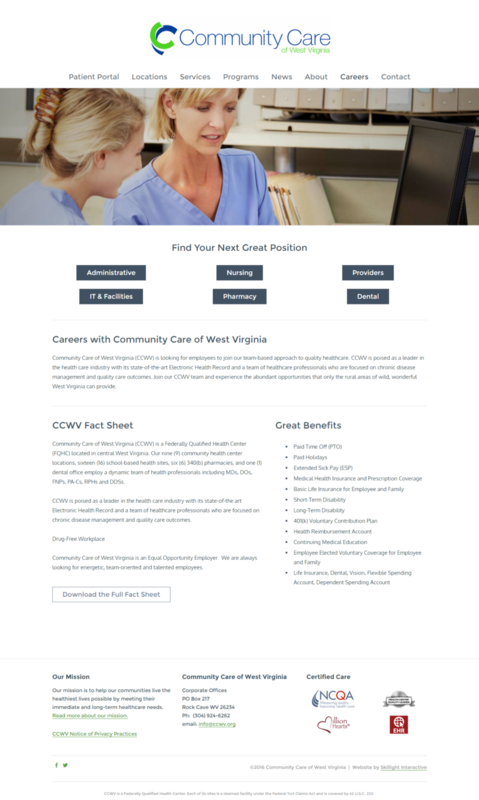 As a much-needed resource in rural areas of West Virginia, CCWV provides affordable, reliable and skilled care to people throughout the state. Copy was given an overhaul in order to explain benefits rather than just explaining services. Stock photography was sourced as the project budget did not allow for professional photography. The new website features an area to apply for jobs at various centers. A blog was also added to allow for news updates and medical bulletins to be posted quickly and easily.